A new addition to the Vans family, the athlete-inspired UltraRange was the solution to our top surfers' need for a versatile shoe that provided comfort for long journeys around the world. Featuring an upgraded UltraCush Lite midsole compound offering the ultimate in comfort and durability, plus a LuxLiner sock-fit construction with seamless internals to reduce weight, rubbing, and hotspots, the UltraRange provides a clean aesthetic that will get you there. 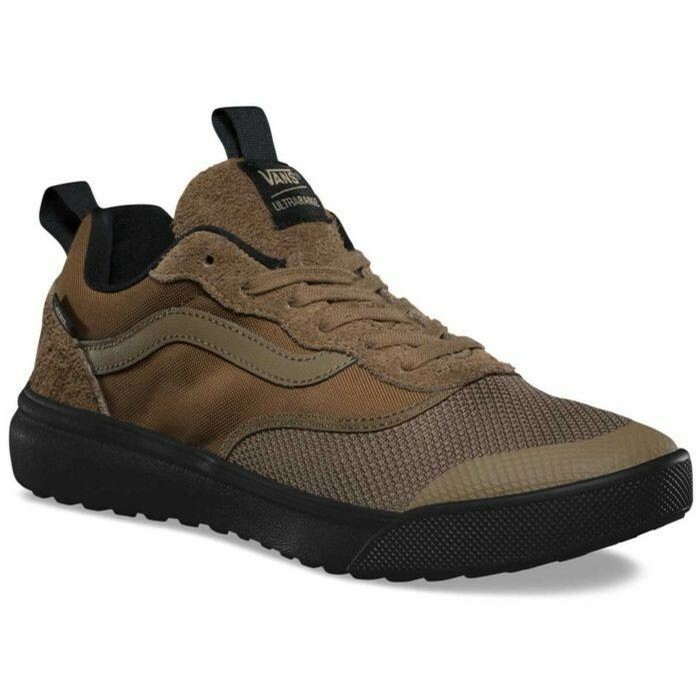 It also includes synthetic, textile, and suede uppers, fully breathable mesh, water-based inks and glues, Pro Vulc Lite construction, and durable rubber reverse waffle lug outsoles.